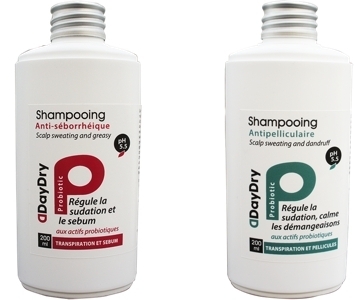 Home Articles Products Focus on French Launches Probiotics are coming into shampoos! After cleansers, facials and even some body care, this family of ingredients that has been revolutionizing the formulation of our cosmetics for some time is now available in hair care! Shampoos and conditioners now include pre-, post- or probiotics that rebalance the scalp and its microbiome. For the greatest happiness of our hair! As we all know, just like the other flora of the human organism, the cutaneous flora plays an essential role in defending us against aggression. It is important that it is well balanced so that the “good” bacteria can develop. This is where the pre-, post- or probiotics that nourish these positive bacteria and thus strengthen the skin barrier come in. Until now they were mainly found in washes and face care. Dove is currently conducting an advertising campaign that is likely to popularize the understanding of microbiome among the general public… But strangely enough, there were no (or few) proposals for hair. Only SVR with Spirial Deo Shower (200 ml, €9.50), which can be used on the face and body as well as on the hair, or Bioderma which integrates prebiotics (lactic acid and fructo oligosaccharides) in most Nodé shampoos, but without communicating on it (we can’t call them opportunism, it’s true that the Naos group that creates the Bioderma and Esthederm products was the first to talk about “skin ecosystem” more than 20 years ago…), included it in their composition. 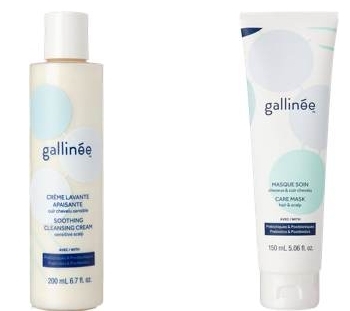 Forgotten repaired at the end of winter with Biosme and Gallinée, two brands that truly worship microbiome! Because these shampoos are obviously sulfate-free and produce not foam. A new habit to take because they perfectly cleanse the hair, rebalancing the scalp and calming irritations and especially itching (frequent, especially for those who use chemical colorings). By acting on the microbiome of the scalp, they regulate sebum secretion and desquamation. And what is incredible is that by using them, the scalp re-greases much less quickly and therefore you wash your hair less! What can be found in their composition? Lactic acid (the mildest of the AHAs, it helps the skin to maintain its physiological pH, it also has a moisturizing and softening role), inulin (active ingredient found in chicory roots) and lactobacillus ferment are on the programme of Biosme Paris’ three Daydry Probiotics Shampoos, certified Cosmos Organic (Volumizing Fresh Shampoo, Anti-Dandruff Shampoo or Anti-Seborrheic Shampoo, 200 ml, €12.90 each). Their originality? They regulate the perspiration of the scalp and… are therefore particularly suitable for athletes. “Sweat releases salt that can dry out hair over time, clog skin pores, promote excess sebum and unbalance the pH of the scalp and hair. These imbalances promote uncontrolled bacterial growth, cause discomfort, itching and even hair loss. By acting on the balance of the skin microbiome, our shampoos maintain a natural bacterial balance,” says the brand, which plans to launch a fourth shampoo in April for scalp and dry hair. Gallinée also uses fermented food in its new hair range, fermented rice water, a secret of vigour and shine for the incredible hair of the Yao tribe in China. 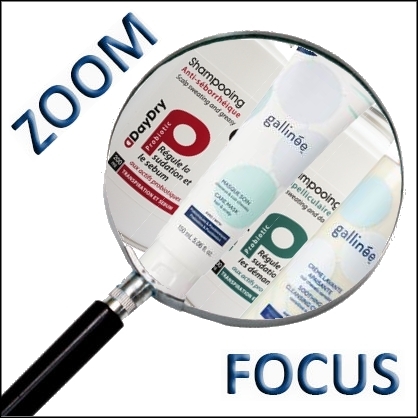 There are also pre and post-biotics (slow release lactic acid to respect the most sensitive scalps, sugars of natural origin, inulin, nourishing and soothing mafura vegetable oil…) in the Soothing Cleansing Cream (200 ml, €25), the soothing and protective Scalp and Hair Serum (100 ml, 26 €) and the Hair and Scalp Care Mask (150 ml, €30), one of the rare masks that can be applied to both the scalp and hair. For the brand that has just won an Excellence Award (awarded by Marie-Claire magazine and a jury of international journalists), the credo would be “treat better, wash less”. Let’s also mention Rahua organic shampoos that also contain lactic acid (Hydration Shampoo, 275 ml, €36) or La Bioesthétique Antidandruff Soothing Shampoo (200 ml, €27.50), based on a phyto-complex acting on the microflora of the scalp to reduce the germs responsible for dandruff and soothe sensitive scalps. But this is only the beginning because, let’s be sure, we haven’t finished hearing about probiotics in the hair ranges!